A move to pressure government into re-assessing the law surrounding thefts from traders’ vans will chime with quite a few tradespeople local to Enderby and surrounding areas who have found themselves victims in recent times. During the latter half of 2017 close to 1,000 vans were broken into across Leicestershire and Rutland with thousands of pounds worth of tools being stolen. Some twelve months later, instances of theft from traders vehicles are still a concern. This is a national problem …some would say ‘epidemic’, with instances of ‘peal and steal’ (where thieves prize away panels on a vehicle to gain access) or gaining entry by means of a device (electronic fob or skeleton key) right down to crudely smashing a vehicle’s window. 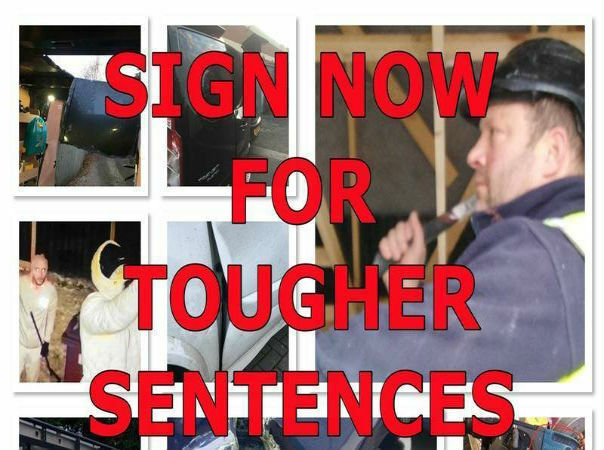 A number of petitions have been raised in recent times to try and pressure the government into debating the issue of tool theft and the derisory penalties imposed on offenders. One of the latest was publicised over the weekend on the Radio 5 Live programme, Adrian Goldberg Investigates. On the programme tradesman Ian Watts said of his petition “Our Government must look strongly into the growing problem of tool theft from vans and must impose much tougher penalties on those convicted of these crimes. A 10 minute edited clip from the BBC 5 Live programme can be heard via the link (below).